By Rachel Held Evans, on February 10, 2016. We are made of stardust, the scientists say—the iron in our blood, the calcium in our bones, and the chlorine in our skin forged in the furnaces of ancient stars whose explosions scattered the elements across the galaxy. From the ashes grew new stars, and around one of them, a system of planets and asteroids and moons. A cluster of dust coalesced to form the earth, and life emerged from the detritus of eight billion- year-old deaths. In the creation story of Genesis; God shaped man out of the dust of the earth and animated him with divine breath. God placed the man in a garden by a river and taught him to tend it. When God saw that man needed a partner in this work, God created woman and together the pair learned how to be alive: to plant and prune, to laugh and make love, to crack open sticky pomegranates and dig dirt out from under their fingernails, to recognize the distinct melodies of the birds and to walk with God in the cool of the day. They lived in the shade of the Tree of Life and were naked and unashamed. in the garden’s only forbidden tree—the Tree of the Knowledge of Good and Evil. They thought its fruit would make them like God. But in their grasping and rebellion, in their independence and greed, they instead learned fear, anger, judgment, blame, envy, and shame. When God came to walk with them in the cool of the day, they hid in the brush, afraid. So God banished them from the garden, away from the Tree of Life, and they understood that they would die. By the sweat of your brow, you will eat your food until you return to the ground, since from it you were taken,” God told the man. “For dust you are and to dust you will return” (Genesis 3:19). When the descendants of Adam warred against one another, armies burned the cities of their enemies to the ground. The sons of Adam and the daughters of Eve knew well the smell of ash, the bitter aftertaste of forbidden fruit. They knew, too, the difference between good and evil, yet they chose evil again and again in a violent quest to be like God. The gray residue of incinerated matter signified destruction, mortality, grief, and repentance. In the wake of tragedy or in the anticipation of judgment, our ancestors traded their finer clothes for coarse, colorless sackcloth and smeared their faces with the ashes of burned-up things. They ritualized their smallness, their dependency, their complicity. “Put on sackcloth, my people, and roll in ashes,” said the prophet Jeremiah, “mourn with bitter wailing as for an only son, for suddenly the destroyer will come upon us” (Jeremiah 6:26). The Tree of the Knowledge of Good and Evil didn’t reveal every secret. Even the wisest found its fruit pulverulent. Solomon declared, “Everything is meaningless. All go to the same place; all come from dust, and to dust all return” (Ecclesiastes 3:19 20). When Job demanded an explanation for his suffering, God asked, “Where were you when I laid the earth’s foundation? Tell me, if you understand” (38:4). Job retreated to a heap of ashes and cried, “Surely I spoke of things I did not understand, things too wonderful for me to know” (Job 42:3). Once a year, on a Wednesday, we mix ashes with oil. We light candles and confess to one another and to God that we have sinned by what we have done and what we have left undone. We tell the truth. 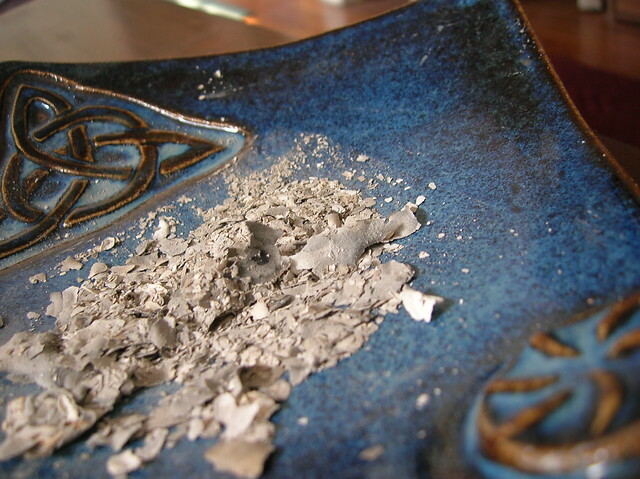 Then we smear the ashes on our foreheads and together acknowledge the single reality upon which every Catholic and Protestant, believer and atheist, scientist and mystic can agree: “Remember that you are dust and to dust and to dust you will return.” It’s the only thing we know for sure: we will die. But a long time ago, a promise was made. A prophet called Isaiah said a messenger would come to proclaim good news to the poor and brokenhearted, “to bestow on them a crown of beauty instead of ashes, the oil of joy instead of mourning, and a garment of praise instead of a spirit of despair.” Those who once repented in dust and ashes “will be called oaks of righteousness, a planting of the Lord for the display of his splendor” (Isaiah 61:3). We could not become like God, so God became like us. God showed us how to heal instead of kill, how to mend instead of destroy, how to love instead of hate, how to live instead of long for more. When we nailed God to a tree, God forgave. And when we buried God in the ground, God got up. The apostle Paul struggled to explain the mystery: “The first man was of the dust of the earth,” he said. “The second man is of heaven . . . just as we have borne the image of the earthly man, so shall we bear the image of the heavenly man” (1 Corinthians 15:47–49). We are not spared death, but the power of death has been defeated. The grip of sin has been loosed. We are invited to share the victory, to follow the path of God back to life. We have become like seeds about to transform, Paul said. “What you sow does not come to life until it dies” (1 Corinthians 15:36). Life to death, death to life—like seeds, like soil, like stars. No wonder Mary Magdalene mistook the risen Jesus for a gardener. A new Tree of Life has broken through the soil and is stretching up toward the sun. 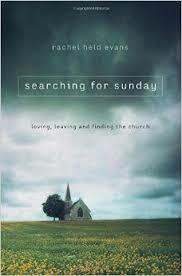 Read more, (including chapters on the water, oil, and bread of the sacraments), in Searching for Sunday. 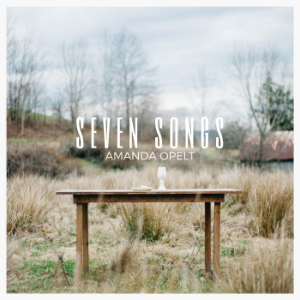 And listen to my sister Amanda Opelt's musical reflection on the sacraments in her album, "Seven Songs."